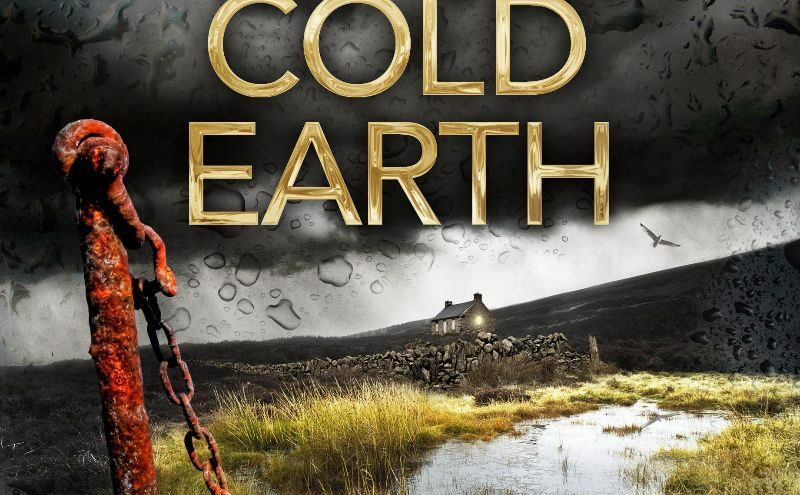 Cold Earth – Ann Cleeves – Audible Book Review by Pat V.
Audible has released a recording of Cold Earth, the latest volume in Ann Cleeves’s prize winning crime novels featuring Scottish DI, Jimmy Perez. The earlier novels formed the basis of the hugely popular BBC TV crime series, Shetland, starring Douglas Henshall in the role of Perez. Cleeves’s other TV credits include ITV’s, Vera, now running into its sixth series, based on her seven novels featuring the obsessive and always dishevelled, Detective Inspector Vera Stanhope, superbly played by Brenda Blethyn. Cleeves’s Shetland novels show the close-knit community of the islands, often cut off from mainland Scotland by bad weather, who have come to depend on each other in an immediate and integral way. Though the books feature a lot of the same characters, each can be read as a stand-alone novel and while references are sometimes made to episodes from previous novels, they are not essential to the understanding of the story. Cleeves’s love of the wild, often savage island landscape she describes in her novels began in 1975 when, after dropping out of college in Sussex, she got a job as an assistant cook at the Fair Isle Bird Observatory. Arriving after a 14 hour ferry journey she was both shocked and stunned by the beauty and isolation of her new surroundings. She has never lost her feeling of awe for these remote and often inaccessible islands and she captures that sense with great skill in these novels. Cold Earth begins with a funeral. An elderly neighbour of Perez is being laid to rest when the proceedings are interrupted by a landslide caused by the constant rain of the previous weeks. Initially, in an echo of the Aberfan tragedy, it is feared that the local school might have been affected but on investigation it is found that the only building destroyed is an old croft cottage which had been vacant for some time. However, when the body of an attractive young woman is found among the ruins and it becomes clear that she has been strangled, DI Perez is called on to investigate and long-hidden secrets are forced to the surface. As always Cleeves delivers a totally satisfying police procedural without car chases or superhuman feats. Perez and his assistant, Police Constable Sandy Wilson, sift through the information they uncover and we are kept in suspense as the pieces of the jigsaw slowly reveal the full picture. The reader here, Kenny Blyth, is excellent. He has already read two of Cleeves’s other Shetland titles for Audible and he captures both the musical lilt of the Shetland accent and the growing tension of her tale. Cold Earth is available from audible.co.uk and lasts 10h11.